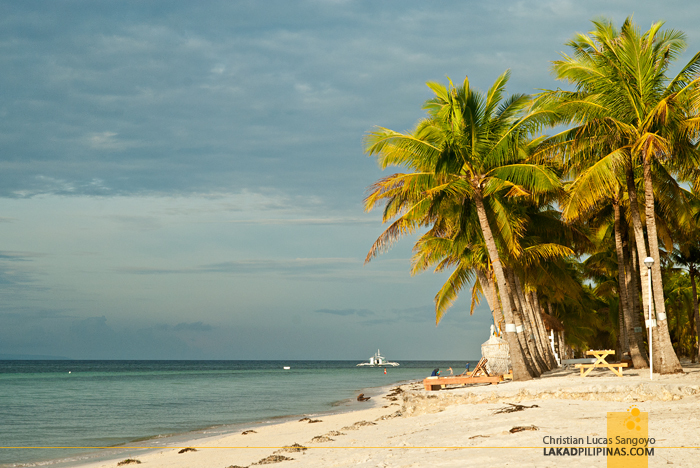 Bohol’s first is now Bohol’s newest, so goes Bohol Beach Club’s catchy new line. The resort, which claims to be the first of its kind in the province since its inception in 1984, has recently undergone an eight-month renovation and has now reopened to the beach-going public. We were lucky enough to be one of the first few guests to see what Bohol Beach Club has to offer after its almost a year of hiatus. Coming from the adrenaline-pumping activities of the Chocolate Hills Adventure Park (CHAP), we were looking forward to finally bedding comfortably for the night. 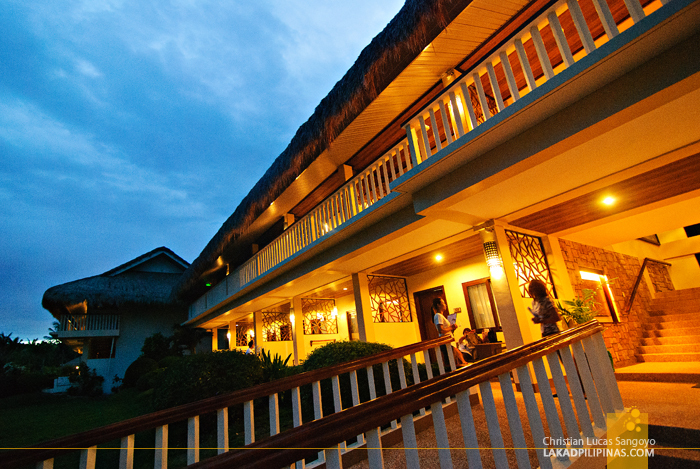 Bohol Beach Club has a total 88 rooms divided into two categories, 80 Deluxe and 8 Beach View Suites. 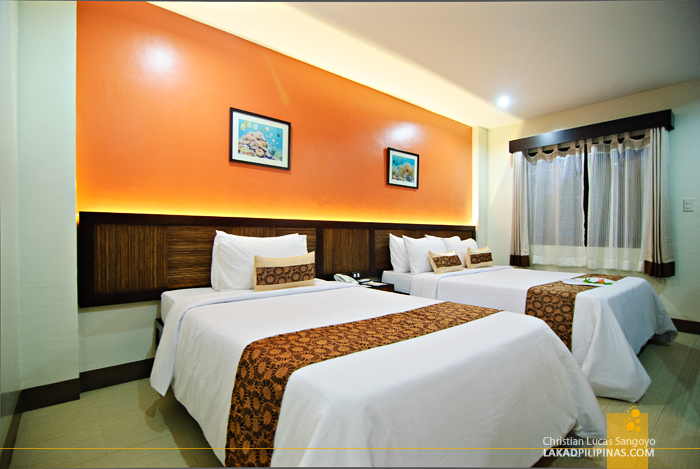 We were provided with the former which can comfortably accommodate three persons with its combination of twin and single beds. 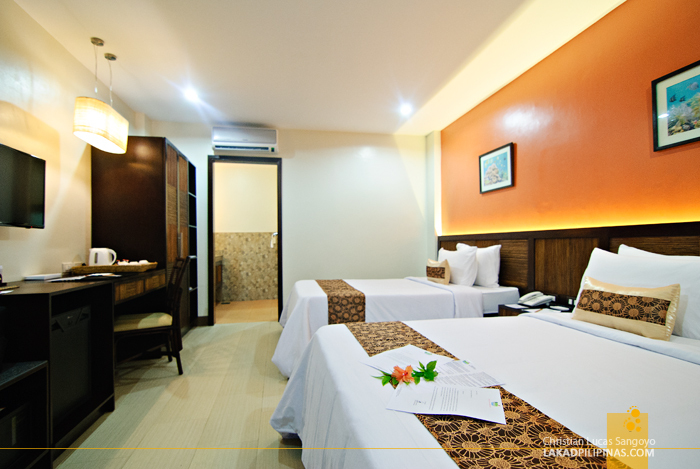 The room is air-conditioned, has a big LCD flat-panel TV, a mini-ref, safe and thermos for coffee and tea. Internet Wi-Fi signal is strong and very free. 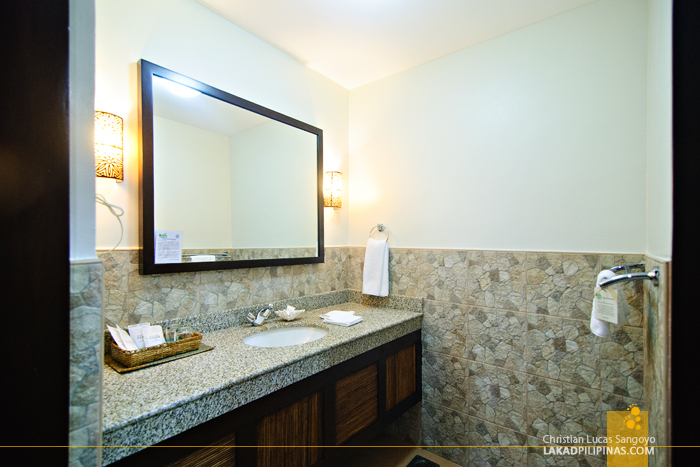 The en suite toilet and bath is spacious with separate panels for shower and toilet. Hot water is provided for, so are toiletries and linens. 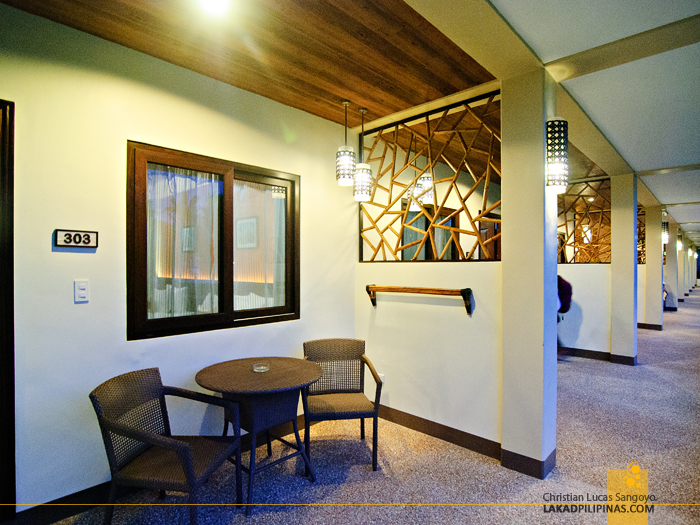 Each room has its own semi-private veranda which opens up to the open-aired hallway. All the rooms face the resort’s lawn where their massive swimming pool is located. The pool, which is sandwiched between a function hall and a 140-seater restaurant, is open only up to ten in the evening. It was just too bad that we were so busy that we weren’t able to take even a single dip. The next morning found us very early by Bohol Beach Club’s beach front. I tried to wake up really early just so I can swim at the Bolod Beach, one of the quieter beaches in Panglao, but it wasn’t early enough. Call time was 7AM, and we were all herded towards the resort’s restaurant for breakfast before we can even take our shirts off to swim. 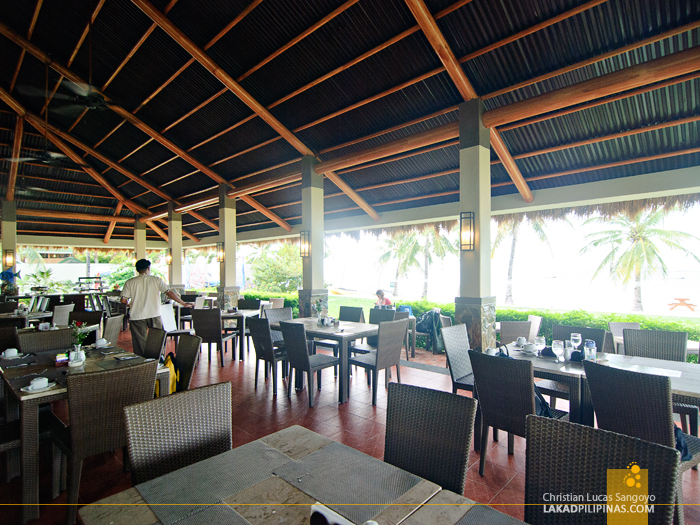 The resort offers breakfast buffets to its guests, which is inclusive with the resort’s room rates. The restaurant is open-aired and has a very chic ambience. 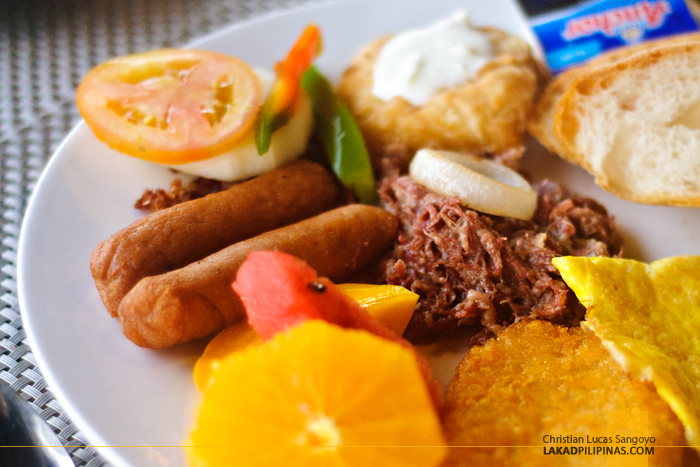 The usual Filipino breakfast fares are present; sinangag, corned beef, tocino and sausages. I found it odd that they serve chicken adobo for breakfast though. I found no omelets being served but they do have an egg station. There are also fruits and pastries for those wanting a lighter meal. 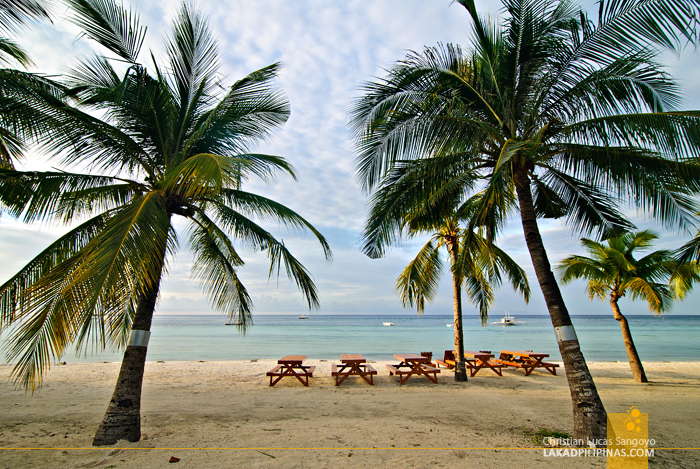 Our stay at Bohol Beach Club left us hanging for more. 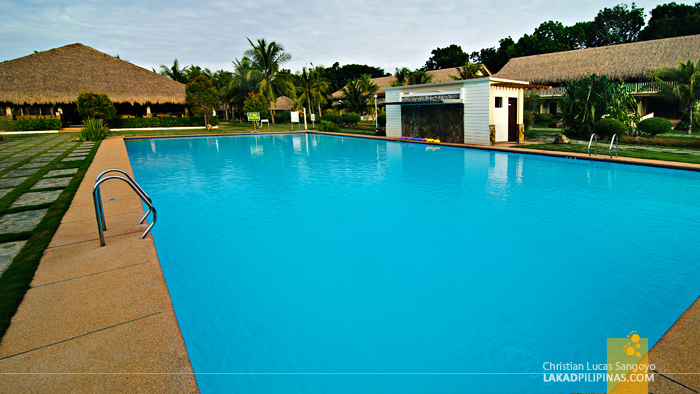 We were unable to swim at their pool and we were not able to laze around at their beach. But it does made me want to go back here and enjoy the full offerings of the resort. 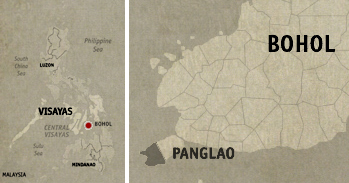 My list of places to stay in Bohol is going longer by the day.